Over winter break, I participated in an international colloquium sponsored by Social Enterprise @ Goizueta. 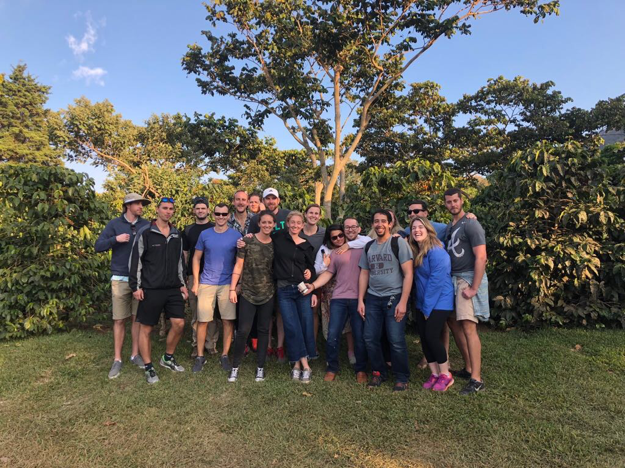 Professor Peter Roberts led 20 Evening MBA students to Guatemala and El Salvador to learn about social entrepreneurship and specialty coffee in these countries. This blog focuses on specialty coffee in Central America. Read my last blog entry to learn about the social entrepreneurship component of the trip. Like most working professionals, I start pretty much every day with a warm cup of coffee. When I reach for a K-cup in the office break room or purchase beans or order a brewed cup of coffee, I’m usually focused on my forthcoming coffee-drinking experience. I’m looking for a medium roast and a flavor profile in the vanilla/hazelnut/caramel family. I’m looking for a blend that will taste nice and smooth with just a dash of cream. I’m looking for a coffee that is strong enough to perk me up in the morning, but not so strong that it gives me the shakes. I have spent a lot of time thinking about, selecting and savoring coffee. But until recently, I hadn’t given much thought to the pre-roasted life of a coffee bean. 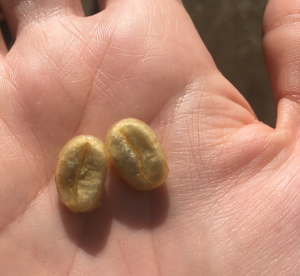 But during the Social Enterprise @ Goizueta Evening MBA international module to Guatemala and El Salvador, I had a unique opportunity to encounter what’s known as the “first 10 feet” of a coffee bean. 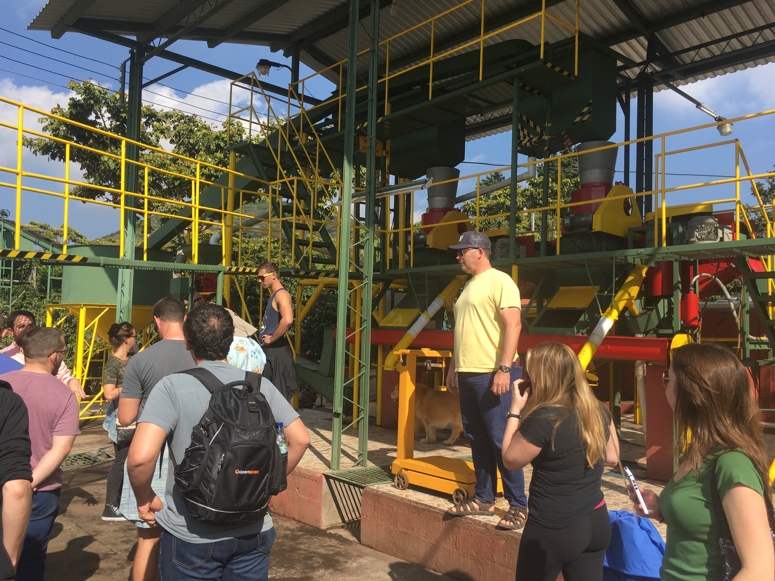 During our tour of SICAFE — a specialty coffee producer in El Salvador — we got a glimpse into the multistep, laborious nature of coffee processing. Ripe red cherries are harvested by hand — one by one until they fill 100-pound sacks. Strong laborers then transport and unload those sacks into coffee mills. The mills process the beans in different ways depending on the desired coffee flavor, but typically they remove the outer layer of the cherry, leaving a green bean surrounded by a sticky honey residue. Those beans then go through various drying stages, with expert quality assurance specialists ensuring that the beans receive the proper levels of exposure to heat and moisture. Once fully dried, the beans are milled once more, then run through a quality inspection conveyor where defective beans are removed by hand. Finally, the beans are bagged and exported to roasters around the world, where they are then roasted and blended, bagged and branded for retail consumption. As we watched red cherries transform into green beans, and then into brown beans, and then into rich espresso shots, we were challenged to think beyond the complex operations. Yes, it was fascinating to watch the buzzing symphony of bodies and machines hard at work at SICAFE. But it was also disappointing to consider the economic injustice of the specialty coffee industry. While watching the laborers hard at work, Professor Roberts reminded us that it is typical that only 10 percent of the revenue from coffee sales returns to the coffee farmers — the bulk of the profit goes to the importers, the roasters and the retailers. Coffee farmers also face unreliable revenue streams as they have to deal with constantly fluctuating commodity prices, and increasingly unreliable weather patterns. 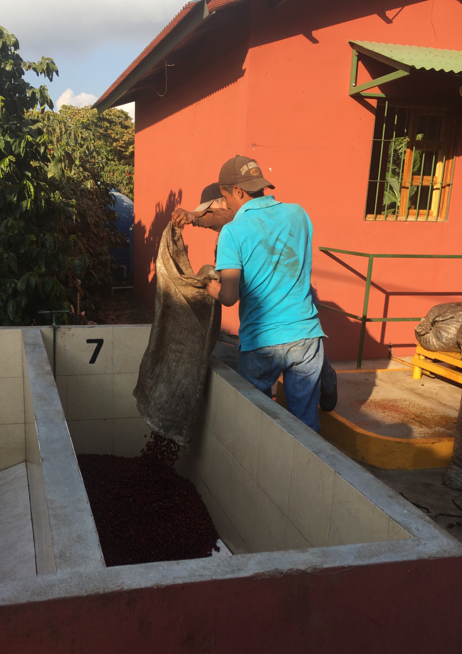 The farms and mills at origin do the vast majority of the labor — growing the trees, harvesting the cherries, milling the cherries, drying the beans, milling the beans, inspecting the beans and cupping the coffee for quality assurance. The roasters pour the beans into a roasting machine and then bag and brand the coffee. And while roasters do some important work, the time that beans spend in the roaster (15 minutes) pales in comparison to the months they spend on the farm and in the mill. Professor Roberts and his team at SE@G are working hard to help transform the agricultural value chain of the specialty coffee industry. They have developed Transparent Trade Coffee as a forum for direct trade roasters to post the prices that they pay for “green” (unroasted) coffee beans. This also provides transparency about the percentage of the coffee purchase prices that goes back to origin. They have also developed the Grounds for Empowerment program to equip Central American farmers with the business savvy to be fairly compensated for their hard work. Educate yourself. Visit Transparent Trade Coffee to find out how much your favorite coffee roaster pays for their “green” (unroasted) beans. If they aren’t transparent, they probably aren’t paying admirable prices for their beans. Purchase directly from origin. 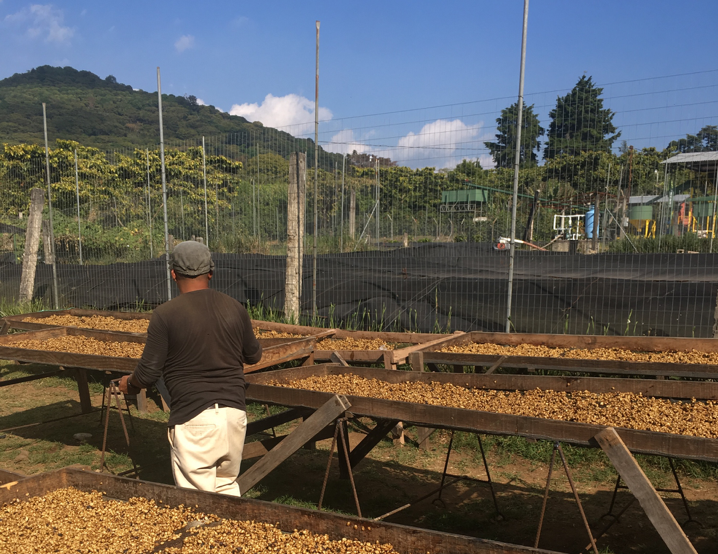 Emory’s Grounds for Empowerment program lets you purchase coffee that has been sourced directly from Nicaragua. Care for the Environment. Climate change is making it more and more difficult for coffee farmers to grow in regions where coffee has historically thrived. Make environmentally friendly choices to preserve coffee’s future. Previous story Are you going all-in with your job search?